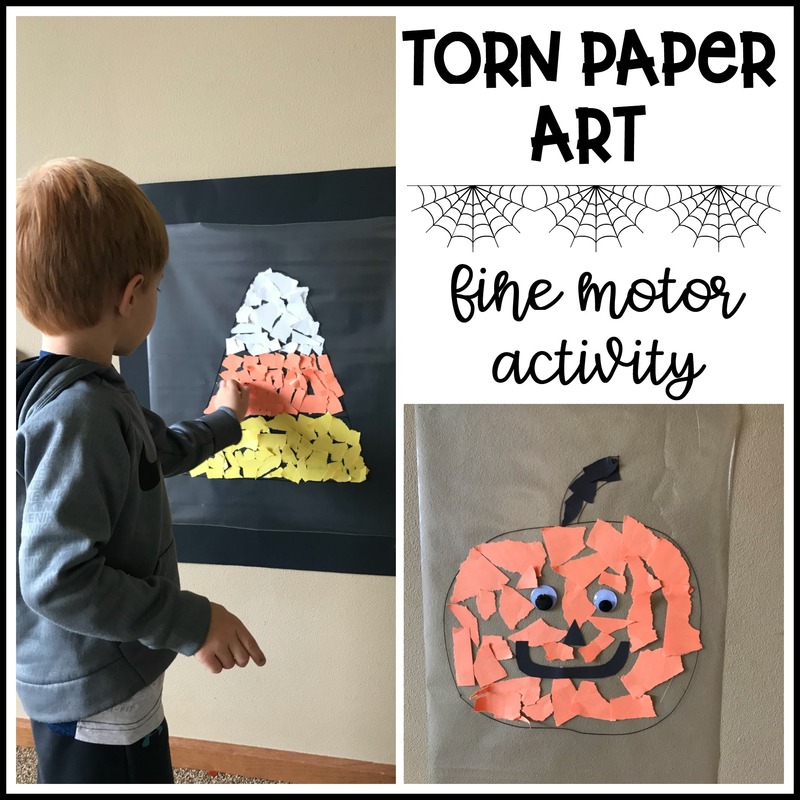 Torn paper art is such a simple fine motor activity! 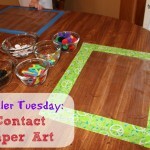 If you’ve been following me for awhile, you know that we love using contact paper for activities. 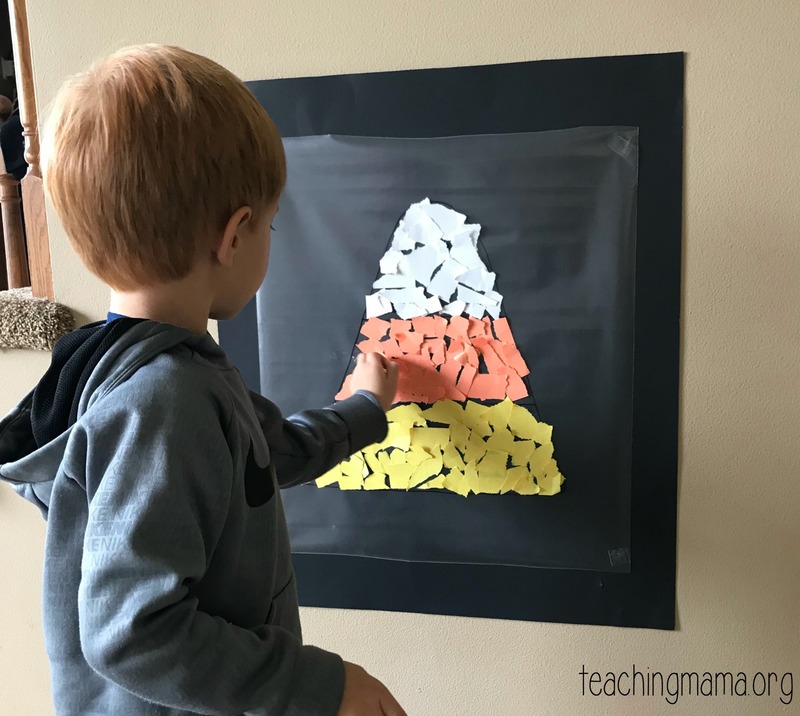 This activity just involves contact paper, construction paper, and a marker. 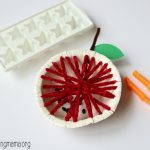 It’s perfect for toddlers and preschoolers! To start, you’ll cut a piece of contact paper. With the stick side facing out, use tape to stick it to the wall. Then use a marker to draw an outline of something you want your child to fill. We chose a candy corn and a pumpkin. If you’re looking for more fall themed pictures, you could do an acorn, leaf, ghost, or mummy. Then invite your child to rip up colored paper. This is such an important step to make sure your child does! 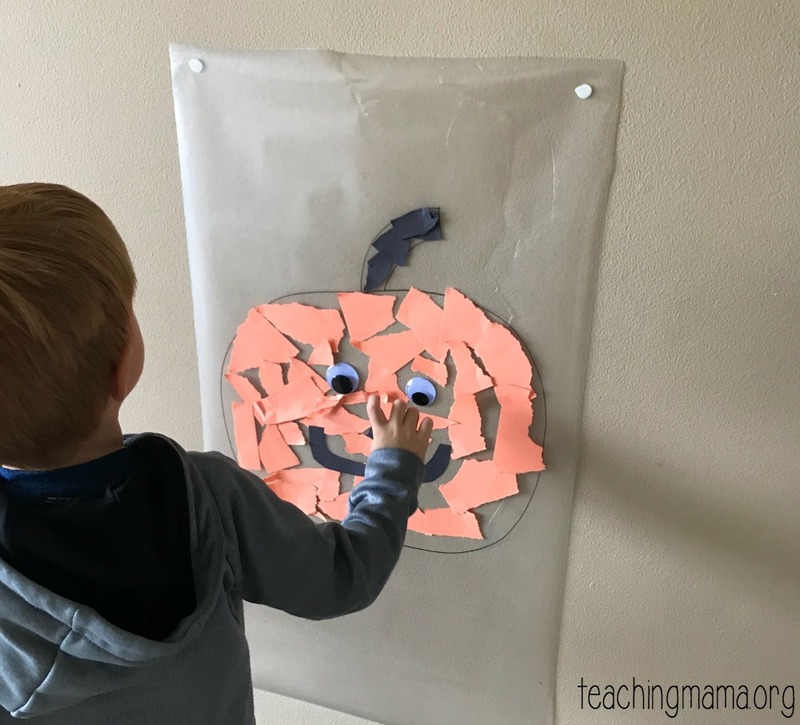 Ripping paper is a great way to practice fine motor skills. 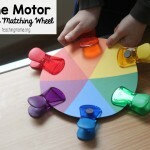 Tearing is a fine motor activity that requires strength and endurance with the small muscles of the hand. 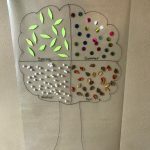 Lots of practice with this will help with handwriting, using buttons, zipping, and more! 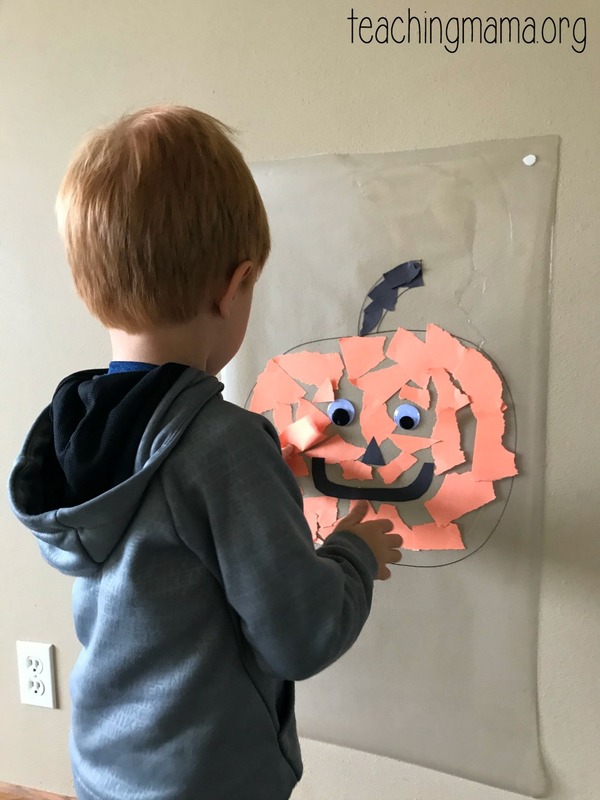 Once the paper is ripped up, invite your child to decorate and fill in the outline. They just place their paper on the contact paper and it will stick. Super easy! Feeling the contact paper is great for sensory, too. It’s very sticky! See how simple this is? 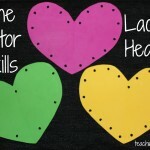 After you’re done, you can leave it up to decorate your house or classroom. 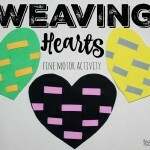 Hope you have fun with this activity! Thank you so much for sharing this very exciting activity. I will let my grandson do this. God bless!